Do you know what’s tougher than re-gripping a tennis racquet? Finding the best tennis overgrip for sweaty hands. Not only will you spend man-hours scouring the internet to find this excellent tennis overgrip. You rexcitement will maybe short lived if you choose the wrong tennis overgrip. Worst still, this may affect your performance on a tennis court. I bet you don’t want to ruin your game or training session because of a poor overgip. Want to know the best-selling tennis overgrip pro players use? Continue reading because you are about to find the tennis gear for you. Chances are, you might have heard about it. But you don’t know what it is or the benefit of using a Tennis Overgrip. The main advantage of using the best tennis overgrip is to give your racquet that extra stickiness. So that when you play the game, you are more stable and nothing slips on your hands. No one likes sweaty hands. Sweaty hands can cause your racquet to slip out of the hands when you are playing the ball. Even pro players like Federer and William, sweaty often between sets when they are playing. They forced to re-grip their tennis racquet between set so that they can play with comfort. The beauty of using overgrip is, it absorbs sweaty from the hands. Most importantly, prevent the racquet from slipping from your hands. A great reason to use a tennis overgrip is that the soft padding cloth-like tape makes your hand comfortable. Imagine holding a tennis racquet without tennis overgrip. If you are not used to, you may experience blisters on your hands or some form pain. The overgrip has soft like materials that cushion from such a situation. You experience added comfort and pleasure when you hold the racquet. It makes it easier for you to pass the ball and you use less effort because of the support you have on the grip. Imagine the amount of time; you will spend on a single game of tennis. 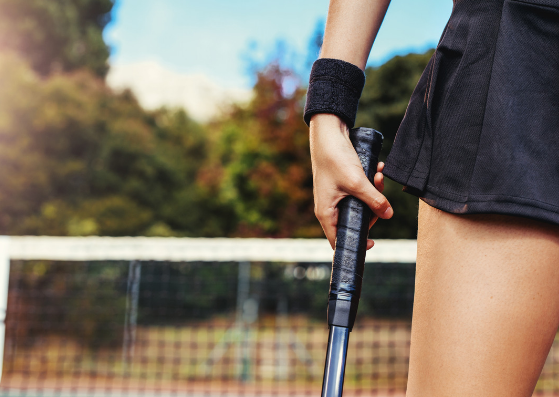 If you don’t have a tennis overgrip, you may have a difficult time finishing the game strong. Now that you know the three main reasons why you should use tennis overgrip. Let’s look at the items you need to have. Wilson Pro tennis racquet overgrip is the best tennis overgrip you will ever get under 6 dollars. Why do I consider Wilson Pro Tennis overgrip as the best?It is because the company has been producing excellent tennis gear in the past. And this racquet overgrip is nothing different from the product they have in the past. The one thing you will love about the overgrip is, you will feel comfortable. They are so easy tore-grip, which means, you won’t be wasting time. But that’s not all.The Wilson Pro comes in three packs, which is enough to last for 2 to 3 years. It comes second for a perfect reason. The thing I am most obsessed with this overgrip is the experience I had in the court with it. Although they are cheap compared to Wilson Pro, they are sturdy and comfortable. You are likely to experience a soft feel on the racquet. Best of all, they are not heavy. You can pass the ball and run around without feeling fatigue. Do you know what?Nothing felt secure in my hands like using the Head Super Overgrip. It is the best gift; you will ever get to improve your tennis performance on the court. Babolat has its fan,and I can’t deny the fact that I am one of them. Their overgrips are excellent and am not kidding this time. The only caveat with Babolat over grip is that they are expensive compared to Wilson. If you buy Babolat because of the price, you will make the wrong choice, and that’s exactly what I tell a tennis player. Its price matches the value it provides. For instance, no overgrip offers superior comfort and absorbs sweat too much like the Babolat. Its value alone matches what every Tennis player wants in tennis gear. Besides that, there’s one fact you have to admit about the Babolat. Well, my list won’t be final without Volkl deserving a great mention. Their stellar reputation on the tennis court makes them ideal for a recommendation. They excel in comfort and come in a different range of colors. Which means, there is something for everyone in terms of options. Because of their variety of colors,they are a wide choice for kids. So, if you have a kid at home and wondering which overgrip to buy, try Volkl. You won’t go wrong. Besides that, I found Volkl to be easy to put on and sticky enough. In other words, they won’t pull-off once you have applied them. Tourna overgrips are known for their performance and made to professional standards.Tourna overgrips can be seen on player’s racquets of all levels including grand slam champions. 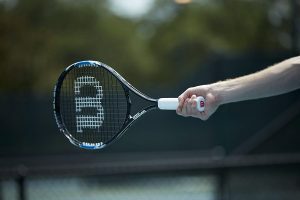 This is the original overgrip used by professionals including Pete Sampras, James Blake, the Bryan Brothers, Sam Querrey, David Ferrer, John Isner, and many more. Its used by more pro and college players than all other grips combined. Why? Because Tourna-Grip actually performs better with moisture when all other overgrips on the market get slippery with moisture. Famous for its sweat absorption properties, it’s the only grip that gets tackier as you sweat! Are the world best seller grips.! Super Grap reformed desires for overgrip execution by joining extraordinary tack, absorbency and strong toughness. Super Grap upgrades the play-ability of your racquet. It assimilates shock and sweat giving you phenomenal control and feel. Super Grap fits standard and long body racquets. Note- when installing remember to remove all plastic! TOURNA MEGA TAC is the tackiest tennis grip ever created. Period. No other grip comes close to delivering the same feel. Mega Tac lasts 10 times as long as other tacky grips. Most other tacky grips lose their tack in about 30minutes of play. Mega Tac lasts about 10 to 14 hours under normal playing conditions. Durable construction, Mega Tac will last a long time without falling apart, rolling up, or unraveling. Lock into a proper position when changing grips. Zingther premium super tacky overgrip is called SUPER OVERGRIP because it features super tacky,soft, rubbery cushioning and high-stretch felt for optimal grap feel at the same time as sweat absorbent. It’s professional.You don’t want to worry about losing grippy keep watch over with your racket in case you have Zingther Super Overgrip on it. Amazingly, it is durable and thin.This is the very best quality tacky grip tape for tennis rackets, badminton racquets, racquetball (racket ball) racquets, squash rackets and pickle-ball paddle if you wish to have a tacky feel and sweat absorbent. It’s going to have better performance when used with Zingther premium leather grip as the handle cushion grip. The included finishing tape is in a position to stretch well so that it can protected the grip tape as well as electric tape. Wilson Pro Overgrip offers all round performance preferred by the world’s top players including Roger Federer and Serena Williams. I know the most important part of a tennis racquet is the string. But a tennis overgrip plays a key role in how you perform in the tennis court. If you want to hol dyour tennis racquet with easy. Then you need an excellent tennis overgrip that absorbs sweat and makes you feel comfortable. With the four tennis overgrip that I have mentioned above. You will be in a position to choose the right tennis overgrip for yourself.